​Our Terms Of Service are in accordance with, and in addition to your rights under the Australian Consumer Law. When you enrol in our paid courses, you are agreeing to the following Terms Of Services as explained at the bottom of all our course enrolment and application forms and / or pages. The following Terms Of Service only apply to our "Discounted Packages". ​To read our "FREE 3-Hour Acting Class" Terms Of Service, ​click here​. To read our "Individual Paid Courses" Terms Of Service, click here. To enrol in any of our course packages, you must complete an application form (online or via phone). Once we have received your application, we will send you an email confirming this. Your place in the nominated courses is only guaranteed once full payment of the course package fees have been paid. However you are able to reserve a place in your nominated courses by paying for your course package on a monthly payment plan as outlined on the bottom of the application form and or pages. We have two standard payment options for you to consider. Once you have completed the application form, you can guarantee your place in the courses by paying your full course package fees. Once you have completed the application form, you can reserve your place in the courses by paying for your course packages on a monthly payment plan as outlined on the bottom of your application form and or page. Your first monthly payment will be charged to your credit or debit card entered (or your card on file if you have done a course with us in the past and request on your application for us to charge your card on file, from your previous course). This payment will take place within 2 working days of your application. Your monthly payments will take place on the same day one month to the day after the previous payment of each month until your course package is paid for in full. If we approve and allow you to pay your course package as a personalized non-standard payment option, we shall refer to this as a Non-Standard Payment Plan. A Non-Standard Payment Plan means any payment schedule different to the advertised payment plans as outlined in the "Standard Payment Options" clause and also as shown on the relevant course package sales page and or application page. ​A setup fee of $22 may apply to each Non-Standard Payment Plan. In addition, a $2.20 transaction fee may apply to each Non-Standard Payment Plan payment. All fees shown are in Australian Dollars (AUD). All our course package fees include GST at the current rate of 10%. Course package fees include tuition on the day(s), all relevant course materials, along with a basic morning and afternoon tea. If you pay your course package fees with any Australian issued Visa or Mastercard credit or debit card, we won't charge you any additional transaction fees, however if you pay your course package fees with a credit or debit card that is not issued by an Australian bank we will add an additional 3.3% transaction fee. If you pay your course package fees with an Australian issued American Express credit or debit card we will add an additional 3.3% transaction fee. These additional transaction fees are to cover the cost that we incur for accepting these payment methods. When you pay your course package fees or update your credit or debit card on file with us, you may see an additional $1 authorisation appear on your statement. It's import to understand this is not a charge and the funds don't actually leave your account. This $1 authorisation will disappear from your statement within 24 to 72 hours. The $1 authorisation is a standard process Stripe Payment Solutions (our payment gateway merchant) do to validate that your card is authentic and not fraudulent. If you do not attend any part of your course’s duration and you have not notified us as per the “Course Transfers” clause and or the “Cancelling Your Place” clause we are not able to transfer you to a future course date or type, or offer you a refund. If you would like to attend a future course date or type you will need to pay that course's individual Course fees. If you do not attend your course in full and are only able to attend part of the course’s duration we are not able to offer you a refund, but we are more than happy to transfer your place to a future course date of the same course type. This transfer can only be approved if we receive your notification in writing (email) before 4pm within five (5) working days of your course completement date. In addition your notification (email) must consist of the new course date (available on our website or by emailing us) you would like to be transferred into. A course transfer fee of $55 will apply and will be charged to the same credit or debit card you paid your course package with. This charge will take place within two (2) working of us receiving your notification (email). You are eligible to move or transfer to the same course type on another date in the future only once. We call this a Course Transfer. This Course Transfer can only be approved if we receive your notification in writing (email) at least seven (7) working days prior to the original course commencement date you are enrolled in. In addition your notification (email) must consist of the new course date (available on our website or by emailing us) (up to six (6) months in the future) you would like to be transferred into. A course transfer fee of $55 will apply and will be charged to the same credit or debit card you paid your course package fees with. This charge will take place within two (2) working of us receiving your notification (email). If you paid your course package fees using a payment method other than credit or debit card you have until 4pm the Wednesday prior to the original course commencement date you are enrolled in to pay your Transfer Fee. Your Course Transfer can only be approved once the course transfer fee has been paid. We are not able to transfer course package fees (or part course package fees) to another student or customer. ​If you enrol in a course package, but you're not sure what course date(s) you are available for, you can select the course date option "I'm not sure yet, but I will let you know soon". Then simply contacts us once you know the date(s) that you are available. Your course date(s) must be within six (6) months of your application date. No additional fees apply for this course date option. If you enrol using the "I'm not sure yet, but I will let you know soon" course date(s) option your enrolment is still considered an course package enrolment and is subject to these full Terms Of Service. Our cancellation policy is based on the type of payment option you have chosen. If you choose to cancel your place in the course package within seven (7) working days of paying your full course package fees, we will issue you with a full refund less a cancellation fee of $99. If you choose to cancel your place in the course package for whatever reason after seven (7) working days of paying your full course package fees, we are not able to offer a refund. You are however able to transfer your place to a future course. Please read our “Course Transfer” clause for details. If you choose to cancel your place in the course package within seven (7) working days of paying your first monthly payment, we will refund your payment less a cancellation fee of $99. You will also not be liable for any further payments. If you choose to cancel your place in the course(s) for whatever reason after seven (7) working days of paying your course deposit, we are not able to offer a refund and you would still be liable for the balance of your course package fees which will be automatically charged as per your agreed payment plan from your application. You are however able to transfer your place to a future course. Please read our “Course Transfer” clause for details. If you choose to cancel your place in the course package and you are paying your course package fees with a Non-Standard Payment Plan as per the “Payment Plans (Non-Standard Payment Options)” clause we are not able to refund any course package fees already paid and you will remain liable for any course package fees and payment plan fees still outstanding as per the Non-Standard Payment Plan schedule and payment dates you agreed to. You are however able to transfer your place to a future course. Please read our “Course Transfer” clause for details. Automatic Payments are payments we manage on your behalf by charging your designated credit or debit card on file. These could be, but are not limited to payments that you have selected "Charge The Same Card From My Previous Course" in an application or enrollment form, payments part of a Payment Plan, Non-Standard Payment Plan, Course Deposit, Balance Due, Course Transfer Fees, Late Payment Fees and or Declined Payment Fees. In the event any of your Automatic Payments fall on a weekend we will move your Automatic Payment forward to the previous working day that does not contain a Western Australian, New South Wales, Victorian or National public holiday. ​In the event any of your Automatic Payments fall on a Western Australian, New South Wales, Victorian or National public holiday we will move your Automatic Payment forward to the previous working day that does not contain a Western Australian, New South Wales, Victorian or National public holiday. In the event you need to change the date of a scheduled payment or charge, you are required to let us know by 4pm a full three (3) working days prior to the payment date. If you do, you will not be charged a Late Payment Fee and will be able to move your payment up to ten (10) working days in the future. However if you change the scheduled date of a payment within three (3) working days of a payment due or after, or you need more than ten (10) additional days to pay you will be charged a Late Payment Fee of $11. In the event a credit or debit card declines when charging any of your course package fees you will be charged a Dishonour Fee of $11. We will then try to charge your credit or debit card again with twenty-four (24) hours to process the course package fee plus the Dishonour Fee as your Dishonour Fee of $11 will be added to the payment amount. If your payment declines after the second attempt, you may also be charged a Late Payment Fee as per our “Late Payments” clause. In the event that you request a chargeback or refund from your credit or debit card provider for a payment of any course package fees that you have agreed to pay as per these Terms Of Service (you agreed to when enrolling as outlined on the application page), in addition to any communication between us, you will be liable to pay the chargeback plus a chargeback fee of $35 regardless of the bank's final decision. As part of the chargeback process we submit evidence to your bank via our merchant facility to substantiate the proof that you entered into these Terms Of Service fully aware of doing so by enrolling in a course and that you agree to pay the required course package fees. In the event we issue you a refund, this may take up to 28 working days to appear in your account. If you paid your course package fees with a credit or debit card, we are only able to issue a refund to the same credit or debit card you used for your payment. If you paid your course package fees with a payment method other than credit or debit card, we can only issue a refund via a cheque. If we issue a refund via cheque we can only make it payable to the name of the student enrolled in the course, even if this is not the person who paid the course package fees. Refunds for courses part of a course package only apply to each individual course attended, not to the course package as a whole. If you have enrolled in the Silver or Gold course package and you attend a course and request a refund at the end of the second day of that course (as outlined in our "Our 100% Satisfaction Guarantee: clause) we will calculate the refund amount on a pro rata basis (an average share of the total cost) as per the number of courses in the particular package you enrolled in. If you enrolled in the Platinum or V.I.P Actor's Pass Package the refund will be calculated on the pro rata amount of the number of courses included in the package as well as the average customer use of one refresher course per year. For example the calculation for refunding a customer for a Level 3 course who enrolled in the Platinum package would be as follows: Advertised course package price (not the course package payment plan price) divided by the number of courses (5, which includes 1 refresher course) = $ amount of refund for that particular course. For more information, please see our "Average Student Policy" clause for an outline on how we calculate the "Unlimited Refresher Courses" and "50% Discount On Future Courses". 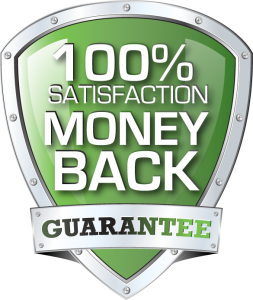 In calculating the savings in our discounted course packages along with the refund amount issued under our 100%Satisfaction Guarantee for discounted course packages we use an Average Student Policy. This is designed to reflect how the average student used our services. The Average Student Policy for our Unlimited Refresher Courses is calculated at one per year, while our Average Student Policy for our 50% Discount On Future Courses is calculated at two per year. The Average Student Policy is only used for calculating discounted course packages and refunds to be issued under our 100% Satisfaction Guarantee and does not limit you to the actual amount of unlimited course refreshers or 50% discounted courses you can do. Where circumstances dictate, we reserve the right to alter published programmes, trainers, fees or venues without prior notice. In the event of a course being moved to a new date, we will try to offer you a place in a future course date of the same course type within six (6) months of your original course date. In the event we can't offer you a place in a future course date of the same course type within six (6) months of your original course date as these courses are full or unavailable for any reason we'll offer you a refund for this individual course as outlined in the "Refunds Issued" clause if you paid your course package fees in full. If you paid your course package fees as part of a Payment Plan or a Non-Standard Payment Plan we will credit the refund amount (calculated as outlined in the "Refunds issued" clause) to your final Payment Plan payment or Non-Standard Payment Plan payment. You will however still be liable for any course package fees to be paid for the already completed or remaining courses, excluding your refunded course. No compensation will be paid for any additional costs incurred by the student in the event of any changes we make. By attending any of our courses you agree and understand that we may take your photo or film you. These photos and or videos can be used for public display and you agree and understand you will not receive any payment or royalty for your part in the photos or videos. If you wish not to have a photo or video of you taken, you must inform us in writing (contact us) at the most two (2) working days from your individual course completion date.